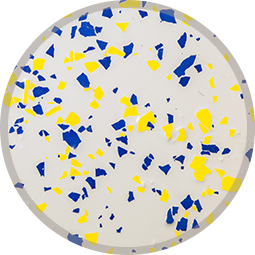 Our Decorative Epoxy Flooring Systems offer a distinctive and pleasing appearance with outstanding performance characteristics. 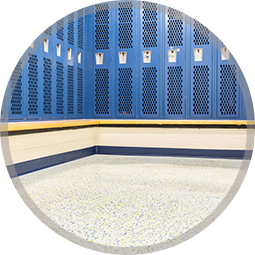 Midwest Floor Restore provides a seamless, durable, and decorative finish that will positively enhance your facility. 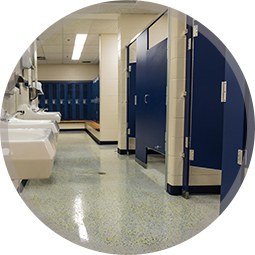 Our Epoxy Flooring Systems are a great choice for Labs, Cafeteria’s, Clean Rooms, Hospitals, Schools and Industrial Facilities. Please note that we do not do residential epoxy flooring at this time. We are looking to expand into that market in the future.